Anyone who knows their way around a toolbox can agree that the best impact driver has maximum torque, the ideal battery type, and perfect power settings. That was our top criteria for selecting the best impact driver. The DEWALT DCF895C2 scored high marks in all categories and is our top pick for your tool box. When a consumer wants to buy something online, sometimes they might check reviews and customer comments to see what others are saying about what they are interested in buying. Checking things out before you buy something big like an impact driver can help you buy the right one for your needs and one that you will really like. We’ve compiled a lot of important information for you to check out about impact drivers so you can come here and learn about the features that they can have and which ones are the best choices. We’ve taken the top three sellers based on user’s opinions and detailed why they are such favorites as well as educating you about their strengths and features. These reviews will even let you know what customers who have bought them and used them are saying. You won’t find more detailed information on choosing an impact driver anywhere. It’s our goal to help make your choice easier and more efficient. With all the information in one place, you won’t have to waste time searching multiple sites; we’ve done all the work for you. A great Impact Driver for professionals and homeowners alike with 1,500 lbs of torque. The DEWALT DCF895C2 comes with patented technology that cabinetmakers, woodworkers, construction workers, HVAC technicians and other professionals will use daily. The 20v max lithium battery lasts longer and provides plenty of power for the toughest jobs. 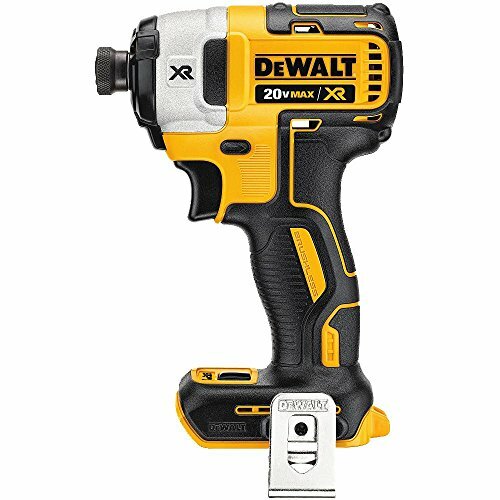 The specially designed DEWALT electronics are built into the impact driver’s switch that give it protection from tool destroying problems such as overloading, overheating and deep discharge when it is being used. Users will find the slim handle easy to hold and very comfortable even during longer duration jobs. The brightly lit LED light is right above the trigger and has a 20 second delay that gives the user better visibility in dim places. 1,500 pounds of torque is a good start to the many reasons this Makita XDT13Z 18V is a user favorite. The variable speed powerhouse weighs 3.30 pounds and provides a whopping 1,500 pounds of torque for driving and fastening projects. The 18v max lithium ion battery will keep it running longer than traditional batteries. The sharp black and blue color, comfort designs design and great price are also many of the reasons this set by Makita is such a user favorite. You don’t have to be a professional contractor to use it or like it, but it DOES work great for both DIY projects and any type of construction application as well. 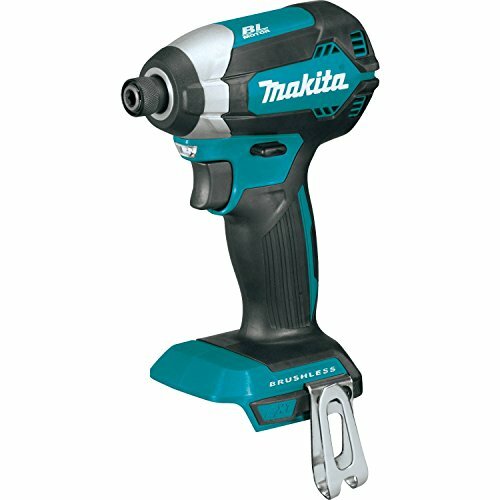 On top of all these excellent features, the Makita name means quality and longevity making it even more of a go to product for impact driver users. If you’re looking for a combo pack that fits all your driving needs you’re going to love the Porter Cable PCCK640LB Impact driver. You’ll get a lot of use from the features this impact driver has. The Impact Driver gives 1,450 pounds of torque per inch and has a variable speed transmission that provides 900 rpms. The compact design makes it a user favorite. You’ll enjoy one-handed easy loading with the ¼” hex chuck. Use it to drive through metal, wood and for fastening projects as well. Never accidentally run out of battery juice with the battery fuel gauge that shows just how much battery power you have left. The 20v Max Lithium Ion battery provides more power and runtime than standard batteries. Comfort is the focus of the ergonomic design that includes a no-slip grip that reduces user fatigue. Have plenty of visibility with the built in LED light. Impact drivers are great tools for buys contractors who need the extra torque and power for their tasks. 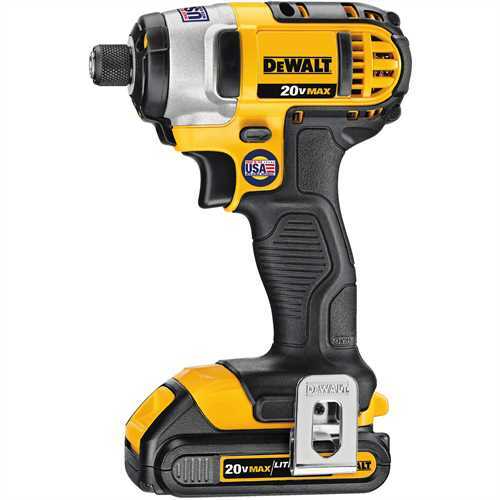 Any of the three choices we’ve detailed for you above are perfect for most jobs and they are all favorites with impact driver users, both professional and those who DIY projects around the home or garage. What is a Impact Driver? You may be surprised to find out how much power such a small tool can have when you see what impact drivers can do. Impact drivers are tools that an produce much greater amounts of torque which make jobs like deck building or taking lug nuts off a truck much easier. They rotate just like a regular drill, but in addition they add a hammer and anvil impact action when more force is needed to break in the hole or drive screws in, particularly large ones like what would be used for decking. Impact Drivers weigh less than cordless drills and are smaller as well. Because of the fact that they produce less reaction force, they are easier for people with less muscle mass to use and can even be used in tight spaces or one-handed as well. They are definitely a tool to have among your power tools. 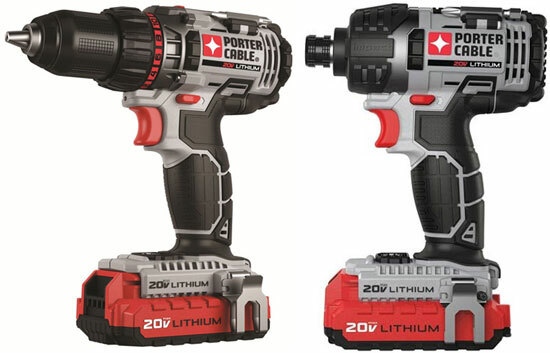 Impact drivers will vary in power, size, price and battery options just like other power tools. When you know the basics about impact driver, and know which ones are better for which types of jobs make it easy to find the perfect one for your needs. Even though they look similar, there is a definite difference between an impact drive and a drill. Impact drivers have a much higher rotational torque that drills do, along with a fast paced rotational tapping. This is not the same motion that hammer drills have) The benefits to this type of motion is that it will drive the fastener in better while still keeping the screw tip in place so it doesn’t spin out of the slot. Drills are used in workshop for an array of reasons including drilling holes and driving fasteners. A lot of the work that drills are used for is lightweight work but then there are some tasks that really require a lot of brute strength. This is where the impact driver becomes one of the best tools you’ll own. Perfect for installing cabinets, building shop furniture, making theater sets, deck building, swing set construction and other heavy duty jobs. The main thing for a DIYer or contractor to note is that impact drivers do not replace your drill. The extreme torque that is delivered by an impact driver requires the use of special hex chuck bits. The reason for this is so the shank doesn’t spin when under load. Drills are perfect for the easier jobs of drilling holes for pictures, and putting together smaller things such as entertainment stands, etc. Because the two do different things, having both is always a good plan. And who doesn’t want more tools? There are many other factors involved as well but the above two are probably two of the most important. There are some advantages to using impact drivers that will apply in most cases. They are outlined in more detail below. 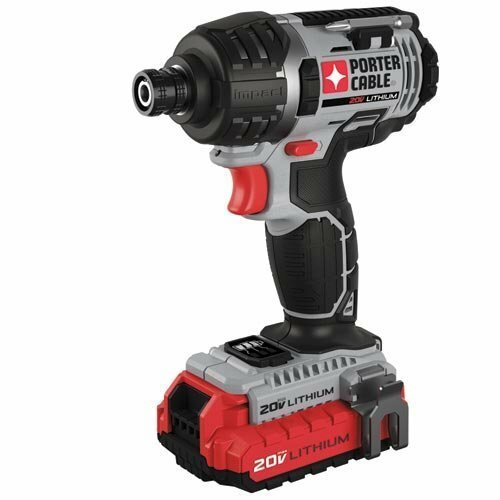 Conveniently Cordless – You don’t ever have to worry about getting cords tangled hen using an impact driver because they are cordless and run on rechargeable batteries. For even more efficiency get a driver that runs on a battery pack that can be charged outside the unit. You can then buy an additional battery or two and you’ll never be without your impact driver waiting on it to charge. Compact and Lightweight too – Regular drills can be cumbersome and heavy, but impact drivers don’t have this problem at all. They are lightweight and very compact which makes them easy to carry around to where you need to use them. They are also excellent for using in hard to reach places. Does the work of a drill AND a screwdriver – You will have a lot of tasks that the impact driver is perfect for. It functions like a drill and a screwdriver but with the added benefit of much higher torque. The ROM speeds of impact drivers are almost two times that of standard cordless drills so you can see why they are so much better for some of the tougher jobs you may have to do. Great Flexibility – One of the appeals of impact drivers is that you don’t have to apply any manual force behind the drill when you’re working. This means that you can actually use them easily with just one hand for drilling or driving. All the pressure needed is applied from the impact driver itself and you just hold it in place so it can do its job. Easy on your hands and wrists – Even though a lot of torque is generated from the driver itself, using this tool will not put any extra strain on your wrists. Before you start looking for the impact driver you want to buy, make sure that you know what jobs it’ll be used for. Are you just using it for household jobs occasionally or are you a carpenter or contractor who needs a tool that can handle the rigors of daily work? There are all types of impact drivers; those that are small, compact and lightweight to large, powerful, heavy ones. Your key factors, the ones that really determine the kinds of jobs a particular driver is good for, will be torque and speed. Torque – this is the name for rotational power and it’s measured in inch-pounds. All impact drivers are all high torque; this is what gives them a lot of advantage over standard drills. A smaller impact driver might have 700 inches-pound while a larger, heavy-duty model can be as high as 1,500 inches-pound or more. Users who need an impact driver for automotive work or for driving huge screws in should opt for a larger, heavier-duty model. Speed – RPMs are another factor involved in choosing the right impact driver. The drill speed is measured in rpms. All impact drivers are high speed but there are a few that are faster than others. If you’re doing something repetitive like driving hundreds of lag screws, a very high speed driver is exactly what you’ll need. Voltage – Most impact drivers are cordless but there are some that have cords. With a corded impact driver you won’t have to deal with recharging batteries but due to the nature of the work that impact drivers are usually used for, most people prefer the cordless varieties due to the freedom of movement. Another indicator of power is voltage. Impact drivers come in many different voltages and the higher the voltage the more powerful they are. Take note though, that the higher the voltage the heavier they will be as well. Size/Weight – The small size and low weight of impact drivers compared to standard drills is what users love about them among other things. For extended use, size and weight of the driver you choose makes a big difference especially if you’ll be using the driver for extended periods of time. Battery – battery life will be determined by the type of battery you use as well as the kinds of jobs you’re using your impact driver for. Because lithium-ion batteries are so much better and long lasting, most impact drivers are now coming with lithium-ions already. The longer lasting batteries are great for contractors and professionals but if you just do occasional house projects, you will be fine with a regular battery. Driver Handle – When you’re using a power tool for an extended period of time, it is easy to get blisters in your palm or on your fingers. The handle of your impact driver needs to be comfortable enough to hold even after you’ve been using it awhile. In many models, the handle may be covered with a non slip rubberized material of some kind. The benefit to this covering is that it is much easier on the skin of the hand. Reverse Switch – Forward/reverse switch is very popular with users. This switch allows you to reverse the rotation of the driver to another direction. This feature is also very helpful to avoid jamming the drill and it’s good for removing screws too. Pretty much all impact drivers have reverse switches so if it doesn’t, then it may not be an impact driver. Housing – The internal components of the impact driver can be affected by the high rotational forces it has. Due to this, it is very important that those internal components are kept in place. The way you can look at this is to check and see how strong and stable the component housing feels. If it feels cheap and flimsy, chances are it is. Look for one that has a solid housing that doesn’t have a lot of give to it. Light – illuminating the area in which you are working makes it a lot easier to make sure that things are lined up right and progressing correctly. Some impact drivers come with built in LED lights which increase visibility tremendously and make working, even in dimly lit areas much easier. Which Kind of Jobs Are You Doing? There are many different styles, price points and sizes of impact drivers available. Not all situations call for the same type of driver. Some situational suggestions are outlined below for you. Homeowner – Less expensive impact drivers will work well for homeowners and DIYers who enjoy weekend projects. The smaller, more compact ones that are portable are a great choice for these types of projects. DIY-er – An all around model with a decent mid range price and balanced performance is great for building decks and working in a shop. Professional/Contractor – High-end, high-speed, high-torque are the words of the day when it comes to the right impact driver for a professional or a contractor. You need to make sure that the one you choose can stand up to the day-in, day-out rigors it will be put through. You will pay more but you will also get a lot more and have quality that will last. There are several different types of impact driver and each one has tasks that it is better suited for due to size, power and design. Outlined below are the four main types of impact drivers and the situations that they are best suited for. This information will help you determine the type that will work best for YOUR needs. Manual Impact Driver – Of all the impact drivers available, this is the one that requires the most physical power from the user. It is used by inserting a screwdriver bit into the driver’s open end. The bit goes into the screw that you are driving and then the driver is held with one hand. In the other end, take a rubber mallet and strike the top of the driver with it. The striking action increases the power that is exerted on the screw driving it in faster than you can with a manual screwdriver alone. This is not a very common style anymore due to the progression of the tool industry and the production of powered impact drivers. 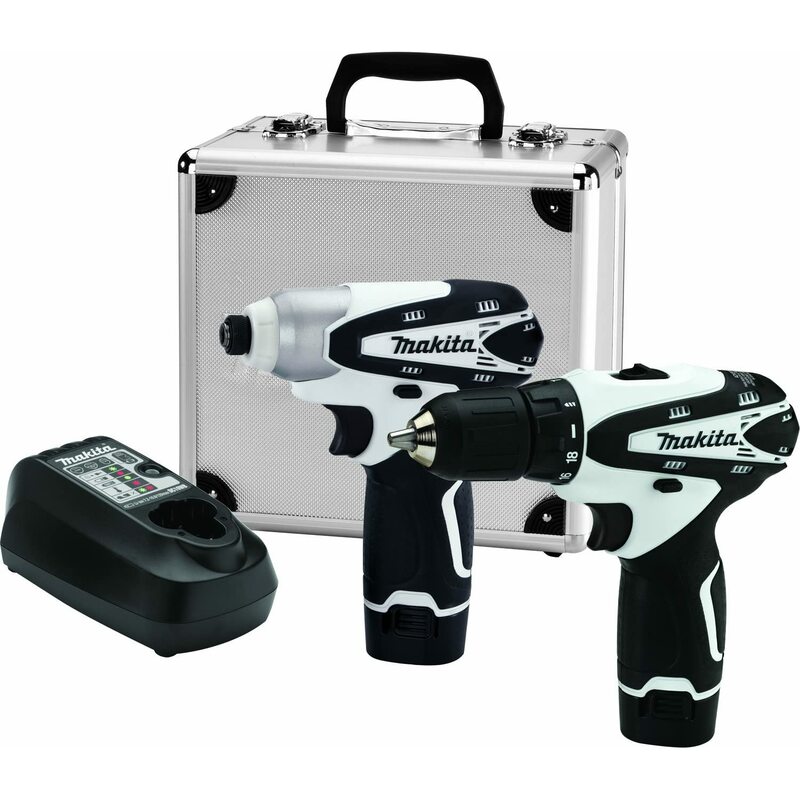 Electric Impact Drivers – You can get electric impact drivers in two styles: corded and cordless. Both types use electric power that works an internal motor that is then connected to a geared shaft. The motor does the turning of the shaft to drive the screw or bolt and it also impacts the shaft in a hammer like fashion to provide more driving power. Rather than having to use physical power to do the work like you have to do with the manual impact driver, the electric motor does it for you. The cordless varieties of impact drivers have been improved so much that they provide just as much power as their corded counterparts. This style of impact driver is used for construction jobs and home repair JOBS. The power levels of these drivers are usually in the 12, 18 and 20 volt range. They’re easy to operate and make a very valuable addition to your tool set. Pneumatic Impact Wrenches – These types of impact drivers are driven by highly compressed air and make a whirring and chugging sound that is heard at mechanics shops and tire dealers. They are not used to drive screws they are used to remove and install heavy duty nuts and bolts. They are often used in heavy duty construction projects such as steel construction. Pneumatic impact wrenches need hoses and air compressors to work. Most homeowners will not use these but if you work on cars regularly or even as a hobby, investing a pneumatic impact wrench can make your life much easier. One of the very few drawbacks to having and using an impact driver is that they are very loud. You can and should wear ear protection but even despite this, using one on a regular basis around your neighbors and even members of your household can be a problem. Avoid using it late at night or early in the morning except in an emergency. Another factor that some may find a bother about impact drivers is that they operate on hex drive chucks. This means that they can only be used with hex shaft bits. It is a bit limiting but since hex shaft bit kits can be purchased at a good price, getting a set isn’t a problem at all. Switching from one bit to another is a simple process a well so no learning curve is need to do the switching. One major thing to check is that the bits are tough enough to operate in an impact driver. Safety is important no matter what tool you’re using. Outlined below are some safety tips that every user should keep in mind whenever they are using impact drivers. When you first get your impact driver home, take the time to read the construction manual that comes with it. Keep this manual close by while you are getting used to it and learning about everything you can do with it. Reading instructions is not failing or being stupid, in fact when you take the time to read the instruction manual for your impact driver, not only will you use it correctly, you will know exactly what you need to do to keep it running correctly for a long time to come. In addition to instructions, your manual will have parts numbers and replacement part information that you will need. If there are any specific safety instructions you need to know about your impact driver, they will be in the manual so read it carefully and then don’t lose it or throw it away. When you are operating power tools of any kind using protective equipment to keep yourself safe is crucial. First and foremost, the most important piece of protective equipment you can wear when working with power tools is eye wear. They are extremely important when using impact drivers no matter what size you’re using. Heavier duty eye wear should be worn if you’re using pneumatic drivers due to the higher power output that can result in an increased mishap. Another important piece of protective equipment that some may overlook are gloves. They are extremely important for pneumatic drivers. Mechanics gloves are very popular and they can be worn for construction jobs as well. Head gear is also important, especially if you’re doing jobs that involve working over your head. Having a safe workspace is very important to ensure the safety of yourself and others who may be working in the area as well. Working in places that have a lot of clutter, water on the floor and electric cords scattered everywhere is an accident waiting to happen. In addition, be aware of who is standing around you when you’re using your impact drill. Along with keep your work areas clutter-free; make sure it is well lit as well. Working in dimly lit areas with improper lighting can cause mistakes that you don’t want to make. Make sure that you follow tool specific safety guidelines when using your impact drill. Use two hands when using the driver, and never reach to use the driver in a position that could cause you to lose your balance and fall. Even if you’re on a ladder, make sure your evenly balanced. For pneumatic models, check the air compressor and air hoses regularly to keep it working smoothly and safely. If you follow the tips and information in this buyer’s guide you will be able to find the perfect impact driver for your personal needs. Whether you are a professional contractor or a serious DIYer, having the right impact driver for the jobs you do makes those jobs easier and more accurate. The information here can help you understand the different features and factors that go into making a good decision on a quality tool.